Inn, pub, bed & breakfast - All words that could be used to describe Bullys. Much more than your usual bed & breakfast, we are a historic tavern located in Columbia Pennsylvania. 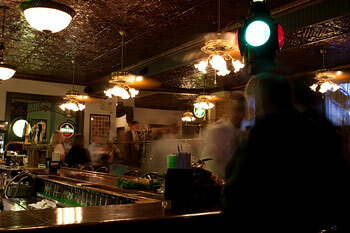 Our bar and grill offers award winning cuisine as well as the largest selection of beer in the area. We pride ourselves on our bar & grill as it brings the best of local history together with modern times.? Our restaurant is family owned and operated as well as our inn. Our property also includes a pastry and bake shop located across the street which provides continental breakfasts to our guests. Both quaint and cozy, our bakery offers many choices to suit any dietary needs that our guests may have including gluten free. Stop in and visit our historic restaurant! Our inn, pub & bed and breakfast will be sure to impress with a cozy and relaxing atmosphere. Instead of staying in a hotel, try our bed & breakfast to get a truly memorable experience. Come dine in our tavern and sample some of our extensive beers. Try some award winning food in our bar and grill. ?